Yan Geling, between cinema and literature. Very little is mentioned in France about Yan Geling. Unlike the vast majority of Chinese writers, she is much more published in the United States than in France. The novel released in France by Plon in 2002 “The lost daughter of happiness” was nevertheless well received, even if with such a title, one could fear the worst! From China to the United States:Born in Shanghai in 1958 into a family of writers, she joins as a dancer, at age 12, the National People’s Army; then as a journalist, she is a correspondent during the Sino-Vietnamese war. She began writing short stories and scenarios. In 1989, she followed the master of “creative writing” in Chicago and decided to stay in the United States. She publishes extensively in Chinese and is best known for adapting several of her short stories to film. She married an American diplomat in 1992 and lived in Berlin, in Nigeria and especially in Taipei. Lawrence A. Walker, her husband, will be the English translator of her short story collection “White Snake” (1), a great success. Her first novel published in the U.S. “The lost daughter of happiness” (2), tells us the life of Fusang, the most famous Chinese prostitute in Chinatown / San Francisco in the 1860s and her relationship with Chris, an American teenager. The descriptions lack flesh (would it be the Chinese community at the time, the riots organized by the Whites, banditry and life in brothels), but keeps us interested. Relations between Americans and Chinese prostitutes, this is a cliché. What is interesting (but limited …) is the personality of Fusang: she accepts her life, she thinks it’s the natural order of things and is passive, does she have feelings? The characters are somewhat abstract and Chris is rather transparent. In the deep of her heart, may be, she feels free and Chris could be in fact an obstacle to her freedom. The creative writing course of the author are not yet fully assimilated! Yan Geling steals the show, talks directly or via the narrator; the dialogue between past and present does not bring much. In 2006, she published “The Banquet Bug” (3) or “The Uninvited” (in the English edition), a satirical novel, written directly in English and which can be read with great pleasure. A worker, unemployed, is mistaken for a journalist, and invited to a sumptuous banquet, after which he received an envelope “for his expenses.” He prints business cards and then attends numerous conferences, product launches, banquets … He meets a famous artist, becomes close to him, and a freelance journalist Happy Gao. It is often a farce, everything is false, all is deception, and people are not what they claim to be … The only reality are the extravagant and expensive dishes served at banquets … The book denounces the corruption and loss of values in contemporary China (which has nevertheless agreed to publish a Chinese version of the novel !). Corruption of the press and journalists is widely mocked and we will remember the vitriolic portrait of Happy Gao. The book “White Snake” is of high quality. The short story “Celestial Bath” was adapted by Joan Chen as “Xiu Xiu”. A girl, Wen Xiu, “educated youth”, sent in Sichuan, is breeding horses, sharing the tent of Lao Jin, castrated during a fight. Young people, who have good relations with local authorities are beginning to return home; she is anxious not to remain in Sichuan and makes love with officials in order to obtain the necessary permits … All this will end in bloodshed ! The short story “Siao Yu” was also adapted for the cinema: a fake marriage in Australia between a Chinese girl of 22 years ( who was asked by her lover to come to Sydney) and an alcoholic, a violinist of the streets, aged 67 who was planning to marry Rita a long-time companion. This provides thousands of dollars to the “husband” but the immigration control authorities will force Siao Yu to live with her “husband”, that will exacerbate the jealousy of Jiang Mei, the lover, but also of Rita … A beautiful text in which the heroine is presented with a lot of understanding. But the most successful short story, in my opinion, is “White Snake” with, as backdrop, the legend of the White Snake. Sun Likun, an actress, 34 years old, is held in custody, during the Cultural Revolution, in a theater of Chengdu. The Commissioner Xu Qunshan visits her, her healh improves, she dances again … He has to leave. A few years later, she is in hospital and a woman, Shan Shan, is meeting regularly Sun Likun who is in love with her as she was with Xu Qunshan , the same person … who happens to be a woman. 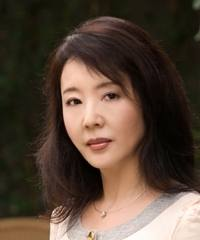 In a few months, she will publish in the U.S. “The Thirteen Flowers of Nanjing “, a book she has reworked several times, an episode of the 1937 Nanjing massacre, a tragedy that has even more impressed her that her great uncle has published an account of this period. The novel was adapted by Zhang Yimou and the film will be released in China early next year. 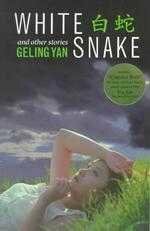 (1) Geling Yan, “White Snake”, translated by Lawrence A. Walker. Aunt Lute Books, 180 pages, 1999. (2) Geling Yan: “The lost daughter of happiness.” Hyperion, May 2002, 290 pages. (3) Geling Yan, “The Banquet Bug”. Hyperion East 2006, 276 pages.